Humans, too, will bark at what is foreign. What we are ignorant of, we are often afraid of. Consequently, the most unfamiliar things are often first viewed as a threat, and we put up our defenses. One way to reduce fear (i.e., ignorance) is to increase your exposure to the feared object or situation so that you gain knowledge of it. Psychologists call this the “mere-exposure effect,” meaning that we can grow more comfortable with something just by spending time with it. 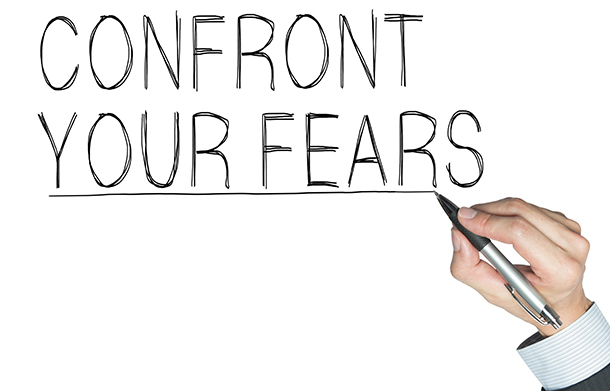 When we acquaint ourselves with our fears, their debilitating effect on us dissipates. For example, I have a relative who is prejudiced. He grew up in New York where communities are tightly segmented by ethnic sections (Little Italy, Spanish Harlem, Chinatown, etc.). A few years ago he came to visit me in Atlanta. At the end of his visit, I took him to see the tomb of Martin Luther King, Jr., perhaps Atlanta’s most famous hero. We also toured the house where King was raised as a child. What started out as a whim turned out to be a profoundly moving experience for my relative. Having grown up during the tumultuous era of the civil rights movement and having witnessed race riots and looting in New York, he thought of King as a troublemaker and inciter. But standing in King’s home, seeing where he ate, bathed, and slept made King more relatable. King the man was more accessible than King the provocative political figure. A simple tour of King’s home did more to reduce my relative’s prejudiced views than any finger-pointing on my part could have done. Seeing the ordinary man behind the extraordinary hero helped convert my relative’s ignorance into knowledge. As Socrates suggested, and as my relative experienced, fear changes from an enemy to a friend to the extent that you move from a condition of not knowing to knowing. And it is hard to know things you keep at a distance. Instead, relishing your risk requires that you spend time “merely-exposed” to your risk. Thinking about starting a business? Take a weekend apprenticeship in the same field. Thinking about moving overseas? Take an extended trip abroad. You will remain hampered by fear of the unknown only as long as you remain loyal to your ignorance.